Is Diabetes a High-Risk Life Insurance Policy? If you’re shopping for life insurance and suffer from diabetes you already know that it’s a serious health condition, but you’re probably not sure how it affects you’re life insurance options. We’re here to help! Let’s start by putting your mind at ease by answering a common question, “Can I get life insurance if I have diabetes?” Yes, it is possible to get life insurance with diabetes! Diabetes can be considered a high-risk illness by life insurance companies, but just having diabetes doesn’t automatically prevent you from getting coverage. However, it may be a little trickier to find the best plan for your needs. Type 1 Diabetes – Type 1 diabetes is the rarer and more serious form of diabetes. This form of diabetes is an auto-immune issue, which results in a diabetic person not being able to produce insulin. Type 1 diabetics are considered higher-risk to insurers as the disease often develops in younger ages, is difficult to control, and can cause significant damage to a body if not well controlled. Type 2 Diabetes – Type 2 diabetes is much more common than type 1 diabetes and often develops later in life. Unlike type one diabetes, type 2 isn’t an autoimmune disease, but instead the body becomes resistant to insulin. As type two diabetes generally sets in after a person reaches 45, the disease has much less time to cause harm to the body. Type 2 diabetes also needs to be well controlled. The type of diabetes an applicant has will play a large role in the risk level the insurer places on your policy, the length of time an individual has had diabetes is also a major consideration. The life insurance company will in a better position to offer coverage; when a client develops Type 2 later in life and there has been less time for the disease to cause damage. Next the insurer will look at your current management of the condition. Knowing how well your condition is being managed will be at the top of a potential insurer’s concerns whether you have type 1 or type 2 diabetes. In fact they might not be too worried about the treatment methods as long as it’s under control. Why? The insurer wants to know that you’re managing your diabetes effectively to prevent it from causing damage to your body and in turn creating additional complications. Put simply, the more controlled your diabetes is the less risk your policy poses for the insurer. To establish how well your diabetes is being controlled the insurer will look at the results of a number of medical tests including your A1C and fasting blood sugar. It’s a requirement of medically underwritten plans that applicants undergo a medical exam, whether you have pre existing health issues or not, to identify any potential problems. This exam will include basic tests such as checking your blood pressure, taking a blood sample to test cholesterol levels etc., and a urine sample to identify any other issues. 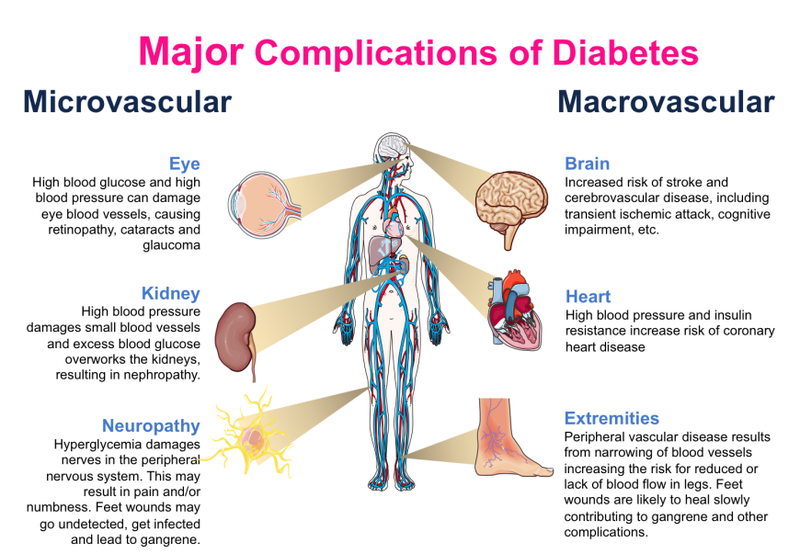 In addition to looking at the medical exam results the underwriter will also look at your medical history to determine whether diabetes has caused any complications. All of the factors above play a role in determining whether the insurer views an applicant with diabetes as high-risk, but how does this affect insurability and pricing? Insurers place applicants into health rating categories, each category has a defined set of health rules that an applicant must meet in order to qualify. For example, a non-smoker who is fit and healthy with no history of major family illness would qualify for the best class and cheapest prices. Conversely, an individual who has had type 1 diabetes for 30 years and has poor control but no complications might be towards the bottom of the rating class. They are seen as higher risk and as a result pay higher premiums. Where you fit on the scale will depend on the unique combination of factors in your application. The worst-case scenario is that your health problems have become severe enough to make you ineligible to qualify for an underwritten life insurance policy. However, you’ll still be able to explore guaranteed issue plans that aren’t medically underwritten. When it comes to finding life insurance with diabetes you’ll want to work with an experienced agent who isn’t tied to one specific insurer. Insurance health rating requirements and pricing vary between insurance companies. This means you’ll need to compare options from multiple insurers to secure the best quote. IntelliQuote is an online life insurance marketplace that has been helping individuals with diabetes secure life insurance for many years. Our online form lets you compare quotes from a wide selection of best-rated insurers so you can secure the best value plan. We also have a team of licensed agents who are here to help guide you to an affordable plan and answer your questions. Use our online quote form or call us at 800-963-6405 to get started.